Transform your outdoor space with a new or refurbished deck. Tony's Roofcare Inc. can build a new deck crafted from top-quality materials including wood, composite or PVC. Whatever design you have in mind – one with stairs, a walkway or different levels — our skilled artisans can make your outdoor vision a reality in no time. Once we begin our consultation with you, the first step will be to determine how you will use your deck. Is it going to be more of a showpiece or will it be an extension of your everyday living space? Will you and your family have meals on the deck? Host parties and get-togethers? Or do you just want a place to relax and enjoy some outdoor serenity? Composite decking made of 75 percent wood fiber and 25 percent polypropylene looks like wood but won’t rot. Paint or stain this material to fit your desire. Composite also offers great longevity and a resistance to cracking. PVC decks are low-maintenance, resist moisture, and won’t swell or shrink. Cedar decks are beautiful and naturally rot-resistant. You won’t have to worry about insects damaging this deck. Also, consider where you want the deck positioned, especially if you’re opting for a multilevel design. Do you want it nestled against some trees? Do you think it’s better situated where it will catch the sun? Do you have a limited amount of space and have to consider measurements carefully? 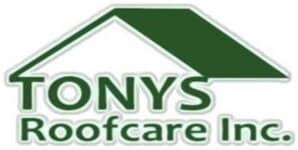 Tony's Roofcare Inc. is ready and waiting to guide you through every stage of deck design, product selection and construction. Let our experts put all the pieces together! Contact our seasoned pros at (253) 841-7779 or submit our online contact request form to get started.